Noliac can customize the nominal voltage from 45 V and up to match your specific requirements. Our standard nominal voltage range of 60 V to 200 V can be applied to all shapes and dimensions of our piezo actuators. 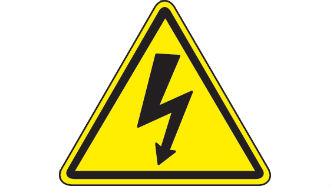 Noliac materials have a recommended operating electrical field of 3 kV/mm. A standard single layer component made of soft doped material (e.g. NCE51) exposed to such an operating field will result in a 3.5 μm displacement. The single layer component requires 6 kV, and since this is undesirable in many cases, we offer to produce an alternative component with many thinner layers instead of just one layer. A component with 100 layers of 20 μm thickness will give the same displacement as the single layer component, but only 60 V is needed as opposed to 6 kV to reach 3 kV/mm. If you have any questions or want further information about custom design of the operating voltage on your piezo actuator, please contact us either by using our Request for Quote form or contact sales. Depending on the application, your requirements for frequency range and operating temperature may vary. Read about our range of materials. We use screen printed electrodes fired on silver as standard, but we also offer Ni and Ni/Au. We match your request for a specific electrode pattern, wrap around electrode and poling configurations. We can adjust dimensions, geometry and frequency tolerances to match your product requirements. See our most common shapes and sizes. We offer customized testing to make sure our products meet your specific requirements. We are experts in piezo, so we take care of our products. We offer customized packaging solutions to match your specific requirements. Noliac offers to custom design the end piece in terms of shape and material for your specific application. Typical shapes are hemispheres or cones (concave or convex). When you order actuators from Noliac, you can have wires fitted to save time and money. There are different wiring options for the specific product type.